If you spend hours looking for the perfect sofa for your front room, do you then just grab whatever you can find for your child’s bedroom furniture? Kids’ furniture is often an overlooked item with many kids ending up with non-descript and boring furniture without any real style. You are not saving money by buying the cheap knockoff furniture at the discount stores because those things will not hold up under the real wear and tear of a child. Give a bored toddler a time out and he will turn his bed into a launching pad, a trampoline or a wrestling mat. Real furniture will take that abuse entirely in stride. Cheap furniture will just break apart. There are many options for kids’ furniture. Columbus, Ohio offers the best in handmade and unique, wooden pieces for the discerning parent. Each one is handmade from a variety of kiln dried hardwoods. Many come in a variety of wood colors and stains as well. Most can be converted to either the youth sized bed or a full sized bed via a simple conversion kit. To complete the child’s room, many parents want specific accessories. Of course, children get toys from all of their relatives for every gift giving occasion and one of the more important accessories will become the toy chest. A real, hardwood toy chest is not only a pretty way to store the toys now but will be durable enough to graduate to other uses as the child gets older. It could hold sports gear and equipment or gaming accessories or even serve to store out of season clothing. Other accessories that are often added to the child’s room include chairs (rocking and side chairs) and even rocking horses. These are all that much more special because they are handmade and selected specifically for the child in question. 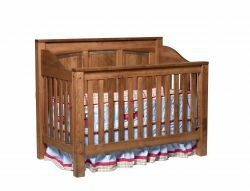 Because they are made from real wood with the craftsmanship of the Amish, these items can be handed down to other children in the family or even stored for the future children of the child who is sleeping on them at this very moment. Visit Amish Originals for the best Columbus, Ohio furniture that is out there.